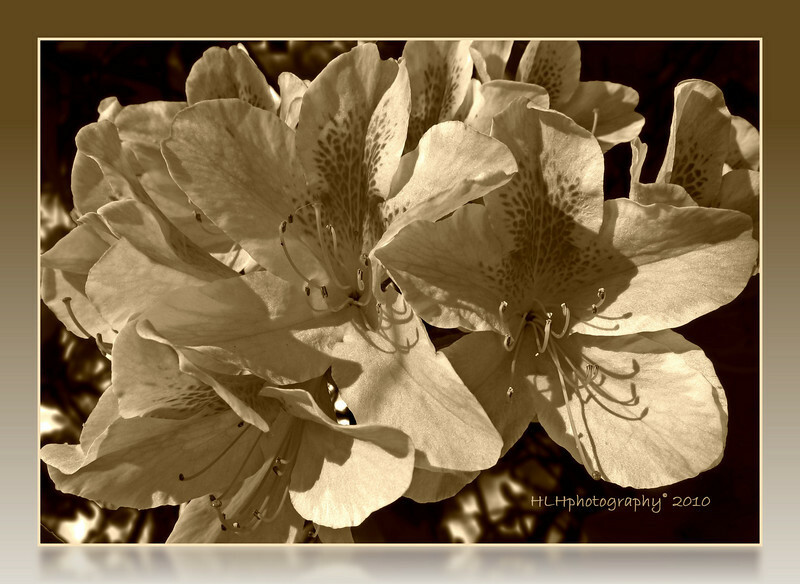 I was planning on posting this "aged' azalea shot yesterday but thought better of it and opted for the colored version. However I still kinda like this so I'm going with it today. What do you all think? Thanks for all the comments on yesterdays post. Greatly appreciated! Have a nice week-end everyone! wow....fantastic! love the pp you picked ;=) i've got to figure out how to do this framing...nice! This has the tone of an older hydrangea blossom. Well done! I do like the vintage feel you've accomplished here!